HOUSTON COUNTY – In honor of National Independent Retailer Month – observed annually throughout July – Crockett Area Chamber of Commerce Executive Director Jeannie Julian took a moment to speak with The Messenger about the importance of patronizing local businesses rather than traveling to other cities whenever possible. Julian went on to point out that when businesses in small communities fail to draw plentiful support from the local residents, they are often forced to close their doors, leaving behind empty storefronts and making the community appear to be “a decaying town. The first nationwide celebration of independent retailers was held in 2003 in the form of a National Independent Retailer Week launched by Profits Plus Principal Tom Shay. Following in 2009 was Nolcha Co-Founder Kerry Bannigan’s Independent Retail Week, a shopping extravaganza held for one week featuring independent fashion retailers throughout Chicago, New Jersey, New York and Philadelphia. In 2011, Shay and Bannigan began discussing methods of expanding the awareness of independent retailers, desiring to include all individuals with recognition of independent retailers. In July 2011, the pair launched Independent Retailer Month USA, and the campaign went on to expand to the United Kingdom later that year with a campaign being led by Retail Champion Clare Rayner. Statistics indicate that each dollar spent at an independent retailer typically goes on to be spent between six and 15 times in the community before leaving town, while only six cents per dollar spent at a “big box retailer” remains in the community. Furthermore, the Small Business Administration (SBA) has reported that a total of four million jobs have been eliminated by big business since 1990, while eight million have been added by small businesses. 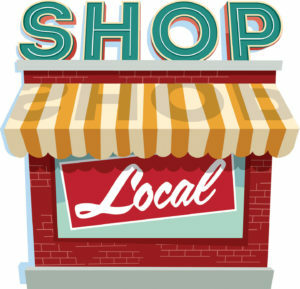 For more information on National Independent Retailer Month, visit www.indieretailermonth.com.